Mauricio Pochettino has hit out at his critics to say he does not believe winning trophies are as important as some are making it out to be. Tottenham Hotspur were dumped out of the FA Cup on Sunday when Crystal Palace secured a 2-0 victory over the Lilywhites. 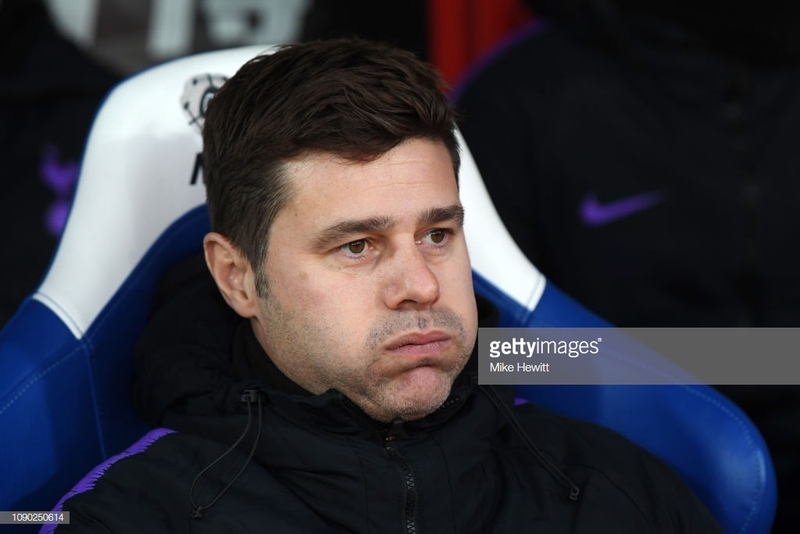 Pochettino spoke to the media after the game to assess what went wrong and what can be done before Wednesday's clash against Watford. Spurs have now been knocked out of both the Carabao Cup and FA Cup in the space of four days. "In the last few weeks I was listening a lot about winning titles, about many things, because in the last few seasons we were there and we were close. People I think with the comments try to help us, the people wish that in the end we would win some trophies. But being realistic, we are doing so well," he said. Spurs' only two chances at lifting silverware this season have been limited to the Champions League and Premier League - both look highly unlikely. "Now the realistic targets are trying to be in the top four, try to be close to Manchester City and Liverpool and try to reduce the gap. "But then again we are going to create a debate that to win a trophy is going to help the club to be in the last level. I don't agree with that. Only that builds your ego because when you win a trophy you can say you have. In reality, at Tottenham, the most important thing is always being consistently in the top four and playing Champions League. "That is the realistic thing for Tottenham," the Argentine added. Spurs endured yet another dreadful first half of football, leaving them with it all to do in the second 45 minutes of the game. "Yes, a fair result because they scored and we didn't." Connor Wickham opened the scoring and former-Spur Andros Townsend doubled the lead from the penalty spot. "I cannot say anything again about that. Of course, we can talk about possession, we can talk about corners, about shots, about everything... but in football, the truth is if you don't score you don't deserve to win games. "They scored twice. Of course, it's a fair result," Poch added. At the end of the press conference, Pochettino confirmed Heung-min Son is in contention to play in Wednesday's clash against Watford. "Yes, yes. Today we were with him on the training ground in the morning." The 26-year-old has arrived back to London earlier than expected after South Korea were knocked out of the Asia Cup by Qatar on Friday. "He's so tired, he played three games. Very tough games. "Of course not too much energy today, but we hope he'll be available and ready on Wednesday to help the team," the 46-year-old finalised.